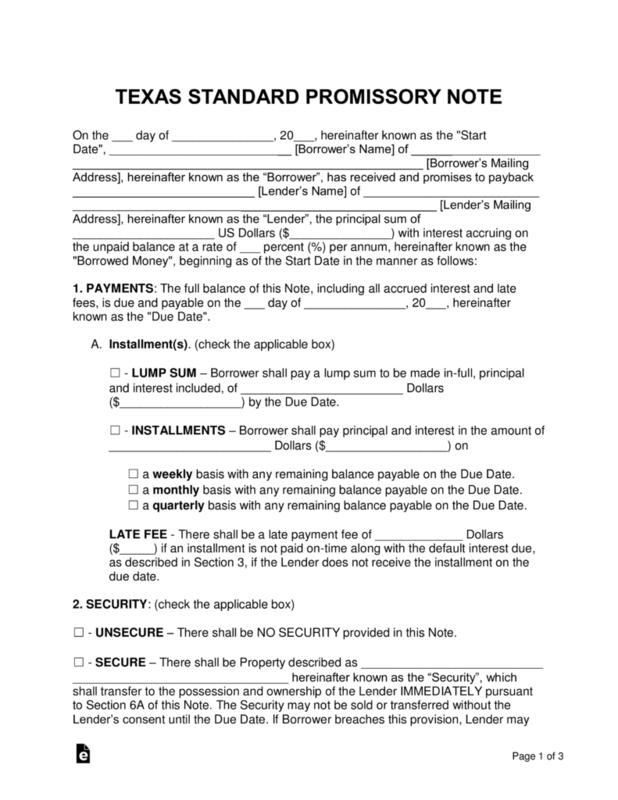 The Utah promissory note templates are fillable documents designed to ensure both parties are clear on the terms and conditions of the note. The documents can also serve in a court of law once all required signatures have been recorded. Secured Promissory Note – Offers the lender a form of financial protection by having the borrower put an item into security that will be automatically given to the lender if the borrower cannot pay the remaining balance. 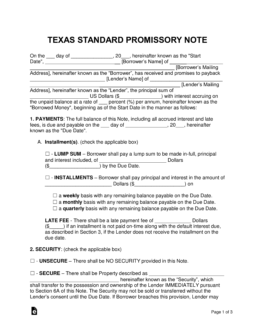 Unsecured Promissory Note – Does not include security. This leaves the lender at an increased risk for losing the loaned balance. To help prevent this, lenders should be cautious when deciding who to lend money to.